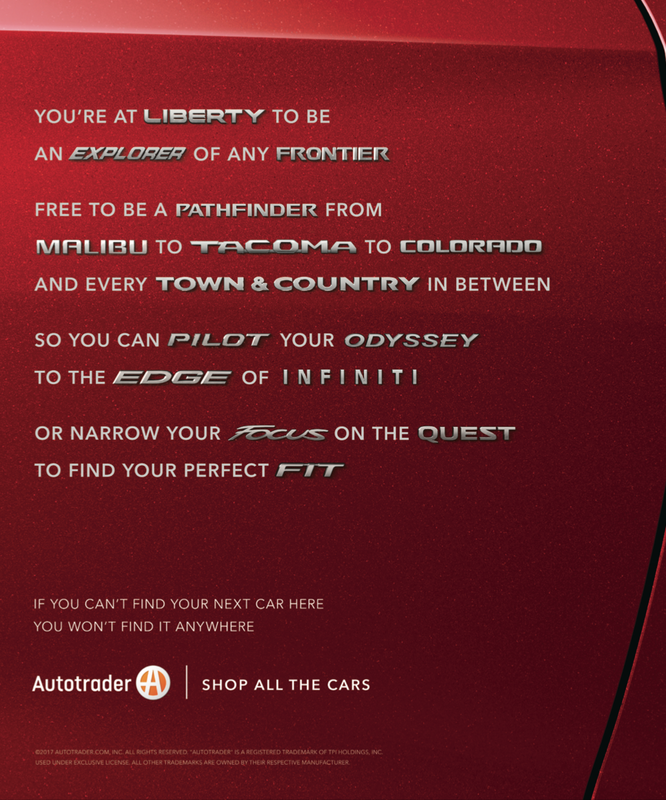 Autotrader has 1.9 million listings. So when we say you can shop all the cars, we mean it. What do you do when you have all the cars? You cram as many as you can into every ad. On TV, we took all the classic car tropes and stitched them together. But it wasn't just TV. 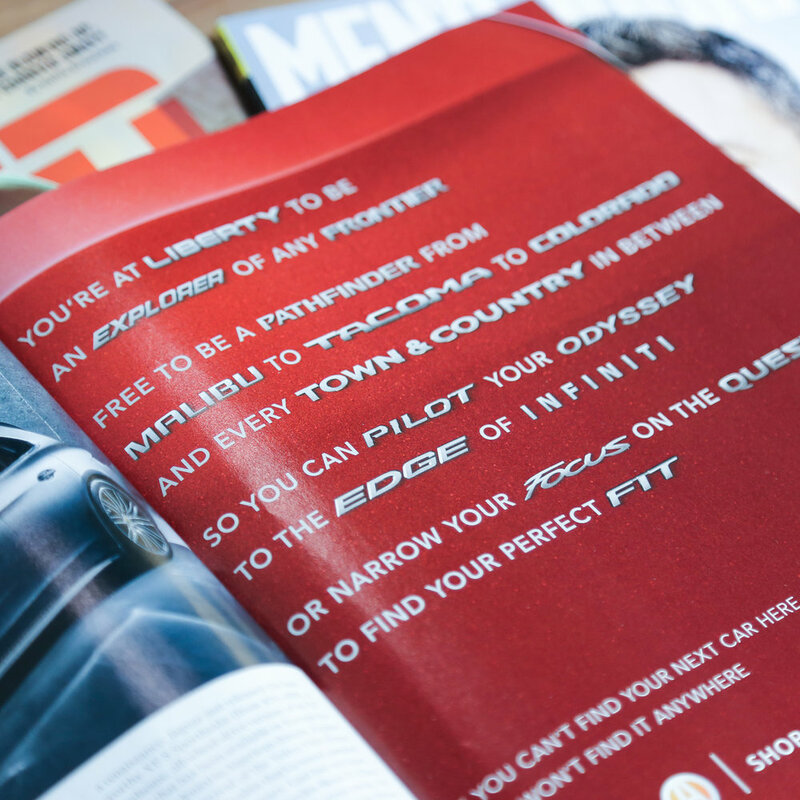 Our print ads were a love letter to all the cars out there. 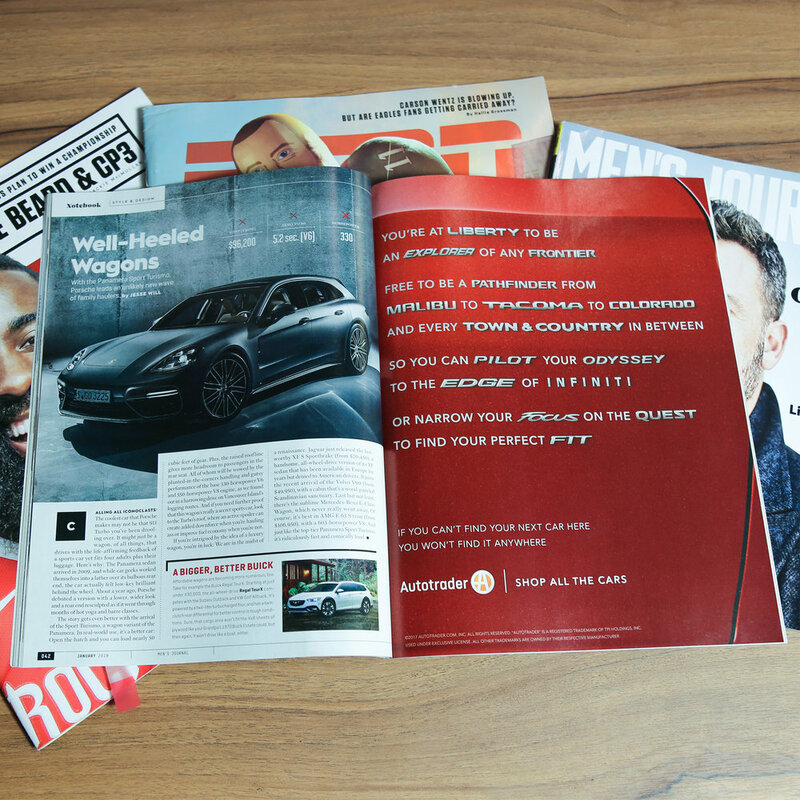 Our digital banners turned car badges into headlines. And we created a Times Square Takeover that drove people up the walls. (Click to zoom, obvi. Yeah, it’s a lot to take in. Here’s a case study if you want a recap.